Kottayam is the birthplace of the Kerala Congress party and naturally, the party has a stronghold in the region. Kottayam is the administrative capital of Kottayam district. The place is one of the main centres of literature and is known as Akshara Nagari or Land of Letters. Kottayam is among 20 Lok Sabha constituencies in the state. 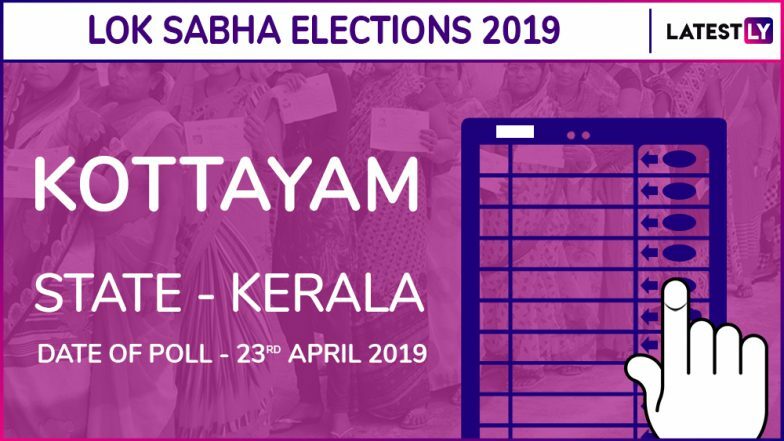 Kerala will vote for the upcoming Lok Sabha elections 2019 in the third phase on April 23. The constituency number of Kottayam is 14. Kottayam Lok Sabha constituency comprises of seven assembly segments including Piravom Pala, Kaduthuruthy, Vaikom (SC), Ettumanoor, Kottayam and Puthuppally. Jose K Mani, son of party president KM Mani of Kerala Congress (M) was the sitting MP of Kottayam. He was, however, nominated to the Rajya Sabha and the seat is currently vacant. UDF has fielded Thomas Chazhikadan in Kottayam. He is a four-time legislator, but lost the Assembly polls in 2011 and 2016. CPI Kottayam district secretary VN Vasavan, who is also a former MLA will be contesting Lok Sabha elections for the first time. VN Vasavan who is a popular face of CPI(M) is the secretary of the District Committee and has been the Kottayam's MLA from 2006 to 2011. Meanwhile, former Union Minister and six-term member of Parliament from Muvattupuzha constituency P C Thomas, who is also the chairman of the Kerala Congress is NDA's candidate from the Kottayam Lok Sabha seat. Check Full Schedule of Lok Sabha Elections 2019. Out of the 15 Lok Sabha polls that Kottayam witnessed since 1952, the district has brought Communist to power only six times. Of which K Suresh Kurup has been the party’s candidate four times. Congress took over from CPM in 2009 with Jose K Mani, winning the election in both 2009 and 2014. The Lok Sabha elections 2019 will be held between April 11 and May 19 in seven phases. In Kerala, voting will be held in a single phase. During the third phase, the polling is scheduled to happen in 115 Lok Sabha constituencies of 14 states. The counting of votes will be held and results will be declared on May 23.